To kick off a new year I have decided to start writing a series on key careers advice theories, theories every careers adviser should know. First off I am going to look at the occupational psychologist John L. Holland. Realistic [R]: A realistic person prefers concrete tasks. He or she likes working alone or with other realistic people. Investigative [I]: Someone who is investigative likes to use his or her abstract or analytical skills to figure things out. He or she is a “thinker” who strives to complete tasks and often prefers to do so independently. Artistic [A]: The artistic members of our society like to create things. They are imaginative and usually extroverted. Social [S]: A social person prefers interacting with people. He or she tends to be concerned with social problems and wants to help others. Enterprising [E]: Those who are enterprising lean toward leadership roles. They are willing to take on challenges and are extroverted. They can be aggressive as well. Conventional [C]: Someone who is conventional prefers structured tasks and tending to details. He or she is often conservative. These types are then displayed in a hexagon, the idea being that the further apart from each other on the hexagon two types were the less the types would have in common and the less someone would find satisfying a career in the more separated types (for example Realistic is furthest apart from Social). Holland claims we all have three dominant types which are displayed in order (referred to as our Holland code, I am apparently… for example). The main idea is that individuals should use their dominant type and then look for a career in that field (for example people with Social would benefit from considering careers in educational or health and social care field). Holland developed a tool called the “self-directed search” for individuals to make use of to identify their code, it consists of a series of questions and then a scoring chart where you add up your answers in various categories giving you your code. Studies (especially Spokane (1985)) do not show the level of satisfaction Holland claims should be achieved through a correct match. Holland does not take into account the difference between “career” and “job”. People may find a job they are suited to unsatisfying for a wide range of reasons and so theories are needed that take into account the gap between career and job while Holland’s erodes it. It is not always easy to classify people or jobs under Holland’s system, things are not always so neat and tidy. Jobs for example are increasingly complex resisting a focus on one area. Holland puts an unrealistically high standard on LMI in effect claiming practitioners can list all jobs attached to a certain code. The theory puts all of the expertise with the practitioner and the technique and asks very little of the client. The client is passive and just receives a diagnosis from someone else. Holland does not recognise wider social phenomenon that may affect career such as ethnicity, gender, location, social capital etc. both in terms of how they affect our perceptions and limit opportunities. These factors need to be taken into account to get from type to job. Holland provides little support on how to choose between roles you are equally well matched to. 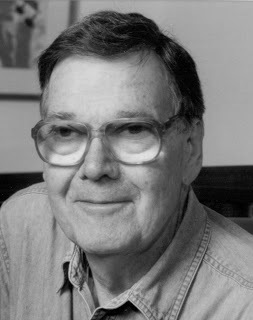 In conclusion Holland is massively influential in the legacy of computer questionnaire inventories that have spawned out from him plus his popularisation of type as a concept for governing career choice. 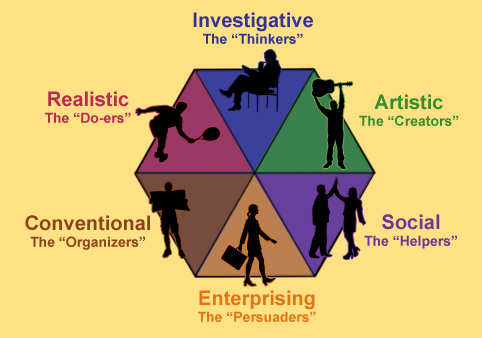 Personally in my practice I use his hexagon as a set of categories to discuss with clients who are stuck to know what they are good at. I feel though his legacy is a difficult and one I personally feel a bit uneasy with. Arnold, J. (2004). The congruence problem in John Holland’s theory of vocational decisions. Journal of Occupational and Organizational Psychology, 77. Spokane, A.R. (1985). A review of research on person-environment congruence in Holland’s theory of careers. Journal of Vocational Behaviour, 31. This entry was posted in Careers Theory, Theories Every Careers Adviser Should Know and tagged careers theory, John Holland, RIASEC. Bookmark the permalink. Thanks for starting this theme on theories, Tom. A delicious topic! My response is to suggest that reflective practice is vitally important for ethical career development practice and practitioners’ professional learning. Not only is theory essential for informed career development practice but also for reflective practice. Let me make just one small point before adding my main point to the post: John Holland’s theory, and its attendant technology (e.g., psychometric tests such as the Self-Directed Search), is one of the more significantly useful theories in the history of the profession of career development practice and the science of vocational psychology. Having said that, now I turn to my main point. The post enumerates points under the heading of Critique, and these points are extensively, if not excessively, articulated in the career development literature, all to the effect that Holland’s theory is now unfairly blemished. Yet, there is one key point that should be added to the list. It is not the theory that misuses itself; it is not the psychometric test that misuses itself; no, these are inanimate entities. These are mere tools in the hands of practitioners; thus, my post here begins with the notion of reflective practice. In the paper A Critical Reflection on Career Development (McIlveen & Patton, 2006), Wendy Patton and I took a view of this problem through the conceptual lens of Foucault. With respect to the current post, we argued that practitioners and the general public have reified notions that are extracted from career theories, using trait models as an example. To quickly summarise the key point of that paper: The punter who presents for career counselling, reads careers sections in newspapers and magazines, or purchases products and services delivered by career gurus touting their solutions, are simply looking for certainty—they are human beings wanting answers. And, just like those who take to the weekly horoscope for answers, ordinary folk just want a little glimmer of certainty in life. It is because of this human need that career practitioners (and charlatans) have so effectively generated an industry around products and services that provide answers. Guess what? There is nothing better than a diagnosis to put a person’s mind at ease, and the Holland RIASEC is tantamount to a diagnosis. Ethical reflective practice dictates that we practitioners and researchers know the limitations and limits of our field’s theories and technologies, and promulgate their good qualities accordingly. Have we done so? If we had, I should think Holland’s theory would be enjoying the inheritance of a polished reputation.